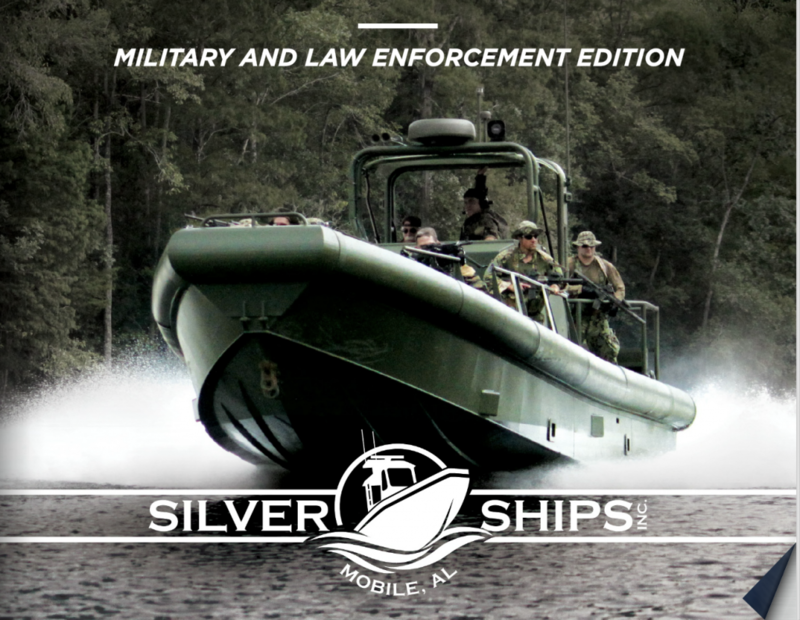 Silver Ships has been designing and manufacturing boats for the United States military for more than 20 years. Our patrol vessels are equipped to handle the most challenging of missions. Silver Ships is a regular attendee of SOFIC. This vessel is an Ambar 8-meter rigid hull inflatable boat (RHIB) custom designed for MARSOC patrol missions.